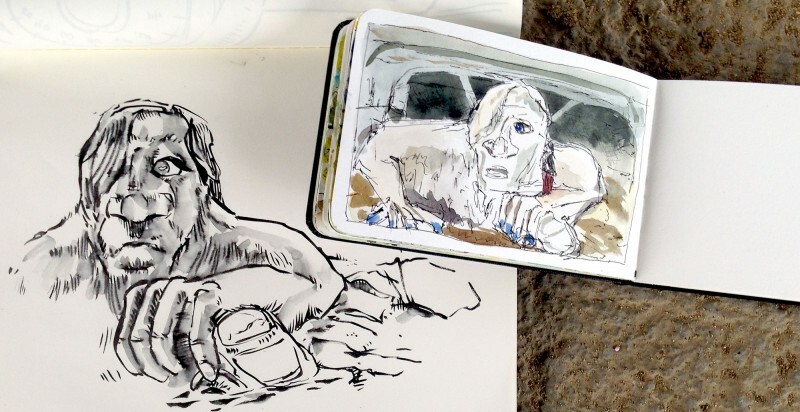 I took a sketch date over the holidays with my favorite art buddy Che Lopez. With hot drinks in hand, we did a quick sketch crawl of Fremont neighborhood icons here in Seattle. 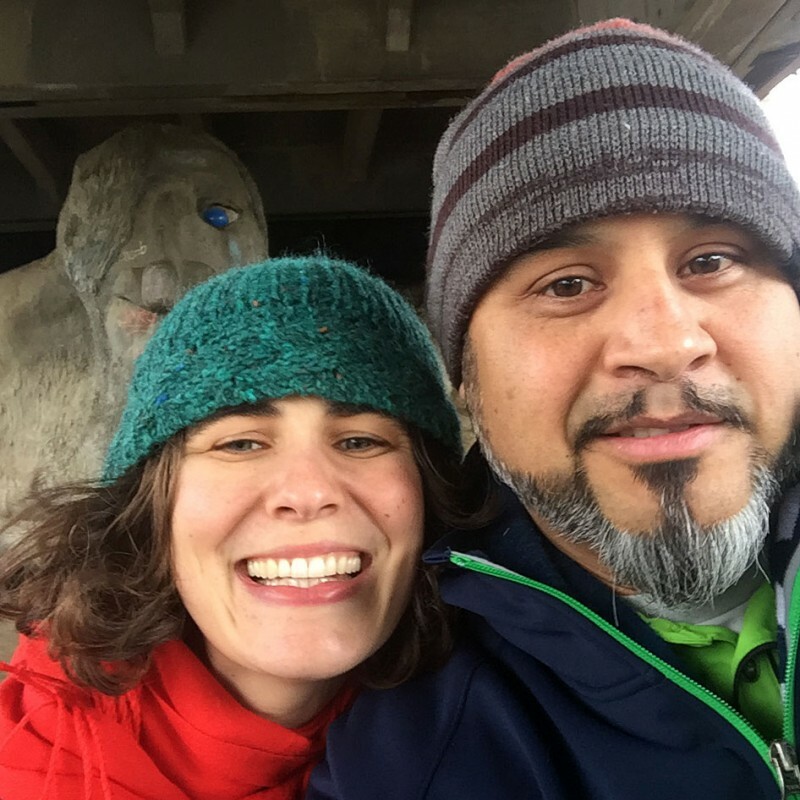 We started with the Fremont Troll, a hulking concrete statue that lurks under the Aurora Bridge. We escaped unscathed from the Troll! Leaving the troll, we strolled down the hill to where the figures of Waiting for the Interurban patiently stand. 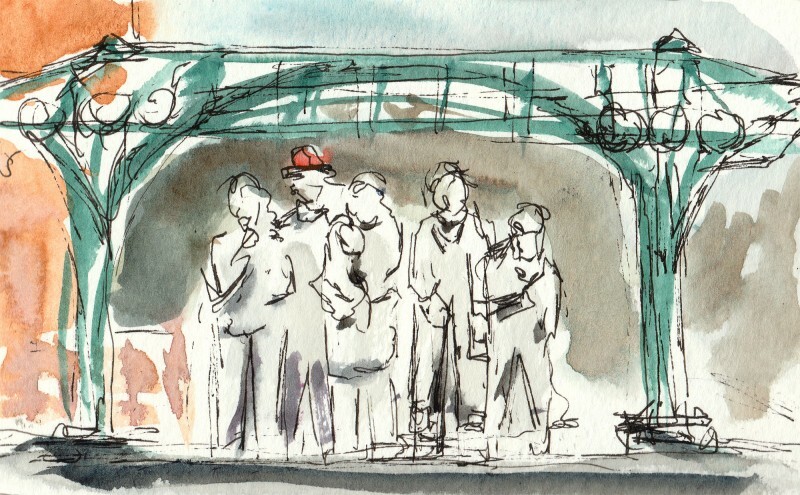 We stood across the street, sketching while surges of traffic blocked the view. 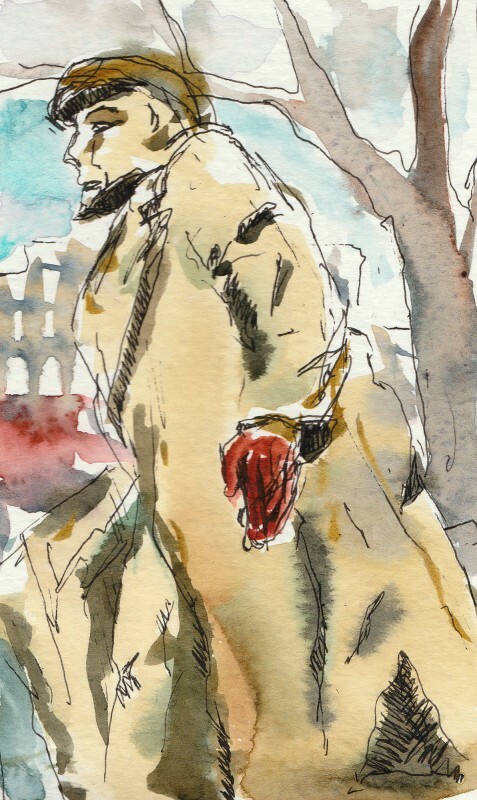 Finally we headed into the heart of Fremont, to sketch Vladimir Lenin. Despite living in Seattle my whole life, I’ve never known the statue is an actual 7 ton statue that originally stood in Slovakia before it was toppled in 1989 and brought to Seattle by an American veteran named Lewis Carpenter. People have painted his hand blood red as a political statement. The landmark is apparently for sale, in case you have space and are interested. I’m back to sketching, this time with the company of my daughter!